U.S. President Donald Trump said Monday the United States is not backing down on its decision to impose 25 percent tariffs on steel imports and 10 percent tariffs on imported aluminum products, despite growing pressure from political and diplomatic allies and U.S. companies to pull back from a policy that could spark a trade war. Before a White House meeting with Israeli Prime Minister Benjamin Netanyahu, Trump suggested Mexico and Canada could be exempted from the planned tariffs if a new and “fair” North American Free Trade Agreement (NAFTA) is reached. The three countries are currently working to revise NAFTA, with the latest round of talks wrapping up in Mexico City. Economist Gary Hufbauer of the Washington-based Peterson Institute for International Economics told VOA that people in Canada and Mexico see the Trump approach as bullying, and that their officials are less likely to make concessions that look like giving in to a bully. He also said those asking Trump to back off the tariff plan are right to fear a trade war. Trump’s decision to impose steep tariffs on steel and aluminum imports has drawn strong condemnation from some in his own Republican party and from U.S. trading partners around the world. Analysts warned the tariffs will hurt many U.S. allies. In a rare break with the White House, House Speaker Paul Ryan and other key Republican lawmakers are trying to convince Trump to change his mind and not impose the tariffs. 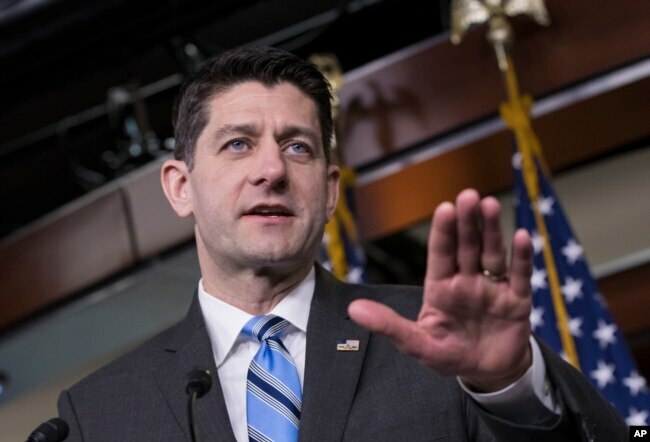 Ryan and the others say the tariffs would hurt consumers because they could lead businesses to impose higher prices and undercut any positive effect the recent Republican-approved tax cuts would have on the U.S. economy. The motorcycle maker Harley-Davidson Inc. is headquartered in Ryan’s home state and is being targeted by Europe in retaliation for Trump’s plan to impose steel and aluminum tariffs. Sanders said the administration is still finalizing the details of the measure, and she did not want to provide more information on the decision ahead of the final announcement. Trump told reporters he does not believe his plan to impose the aluminum and steel tariffs will spark a trade war. 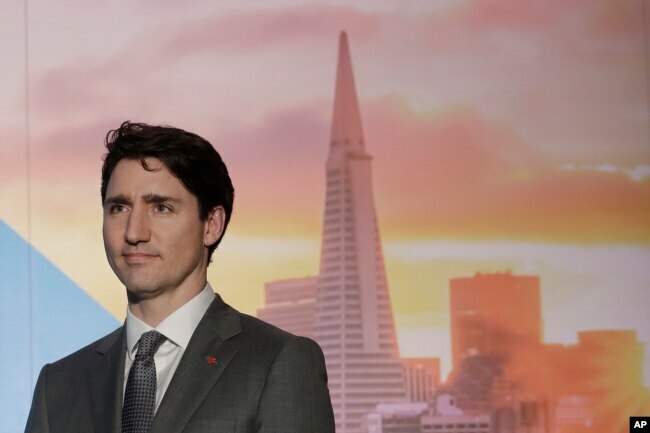 In 2016, the last year with complete government statistics, the United States reported it sent $12.5 billion more in goods and services to Canada than it imported, while it had a $55.6 billion trade deficit with Mexico. European Commission President Jean-Claude Juncker’s threatened the European Union could respond by taxing iconic American-made products, such as bourbon whiskey, blue jeans and Harley-Davidson.